False Creek Skin Solution team proudly starts a new business year with offering a nonsurgical fat reduction, as well as cellulite reduction and skin tightening treatments. Have you heard that fat cells can be stubborn, a.k.a. extremely resistant to being burnt? Many works hard to be fit and healthy. Unfortunately, that doesn’t always help. Despite the healthy lifestyle, a lot of people cope with love handles, cellulite or sagging skin. Good news to all of you: body contouring is the right treatment and now is available in your neighborhood in Vancouver. Body contouring is a nonsurgical procedure that alters to shape the body. It is so easy to achieve a better-proportioned appearance as well as smoother contours. 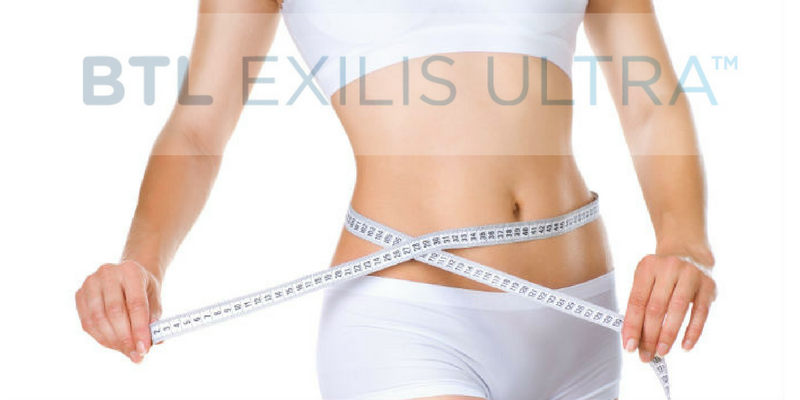 False Creek Skin Solution Team presents BTL Exilis Ultra, the devices which simultaneously combine radio frequency and ultrasound to tighten skin and address body concerns such as fat and cellulite reduction. The procedure is painless. What you will feel might compare to rubbing warm stone to your skin. Controlled heating and cooling ensure that energy is delivered to various depths in the tissue without pain. Changing power and cooling during treatment allows us to treat deep tissue all the way up to the superficial layer. The integrated cooling allows us to target heat to proper skin depth to achieve the best results while maintaining patient comfort. The safety and efficacy of the therapy have been thoroughly tested in several clinical studies. FC Skin Solution offers a complimentary consultation when we can tailor the best treatment plan based on your individual needs. Most patients undergo between 2 to 4 treatments scheduled on a weekly basis. Each treatment of a specific body part usually takes between 15 to 30 minutes. This can vary depending on the treated area, treated indication, and other factors.